Scripture tells us not to be unequally yoked. But what if you didn't know that at the time you got married, or didn't care? Lynn Donovan and Dineen Miller, married to men who don't share their faith, tell how they wound up in a spiritually mismatched marriage, and how it affects the family dynamics, especially raising children. Bob: Dineen Miller remembers the early years in her marriage where neither she nor her husband had any interest in spiritual things. Dineen: It was a time of our lives where we had it all. We were happily married. We had two wonderful daughters. We built our dream home, and it really got hard to get up in the morning. It didn’t make any sense. That, I think, was God’s pull on my heart. So, I went running because I found hope. I went running to God, and jumped into church, and was taking my girls. One day, my husband came home with a Bible. I thought: “This is great! We’re going to be on the same page!” Not too long after, he told me that he decided he was an atheist. Bob: This is FamilyLife Today for Monday, March 10th. Our host is the President of FamilyLife®, Dennis Rainey, and I'm Bob Lepine. There are lots of challenges that couples in a spiritually-mismatched marriage will face. One of the big challenges has to do with what we say and what we don’t say to our own children about our spiritual beliefs. And welcome to FamilyLife Today. Thanks for joining us. The other day, Mary Ann was making breakfast; and she was scrambling some eggs. When it got time to serve them, I wanted to make sure that I got exactly the same amount of eggs on my plate as she got on her plate because I wanted to be thoroughly biblical on how we were doing our eggs. You know what I mean; right? Bob: Well, I want to make sure we were both equally yoked. [Laughter] How’s that for a joke? I just made the whole thing up!—just made it up right there myself—equally yoked! Bob: —the yoking there really refers to when you put a beam across the shoulders of the two ox that are pulling the plow; right? Bob: If they’re not equal, then one ox is going to run ahead; and you’re just going to plow in a circle—is what’s going to happen. Dennis: And if you get some little oxen, they can be impacted by this unequally-yoked situation. We have—as you’ve already heard their voices—a couple of guests with us, here on FamilyLife Today. Dineen Miller and Lynn Donovan join us again. Welcome back, ladies. Dineen: Thank you so much for having us. We love being here. Lynn: It’s always a great time when we’re here. Thank you. Bob: And you liked the joke. Did you love the joke? Dennis: I had no idea where he was going. I just want you to know—in 21 years, that is one of the worst. Bob: One of the worst. Dennis: It’s really one of the worst. Bob: I didn’t want to wait. Dennis: I want to read the mail we get on that. 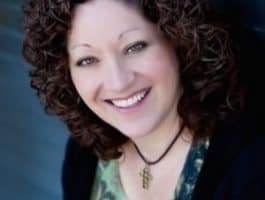 Dineen Miller is a women’s leader at church, a youth counselor, author, a wife, and a mom. 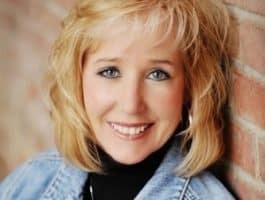 Lynn is a speaker, an author, a wife, and mom, as well. You both had joined together earlier to co-author a book just to women who are in unequally-yoked situations with their husbands—a spiritually- mismatched relationship. This book, Not Alone, is geared toward the parenting side of this spiritually-mismatched situation; right? Dennis: Lynn, you came at this whole thing of being spiritually-mismatched after having experienced divorce, being a single parent, and then remarrying. Explain to our listeners how you ended up in this relationship. Lynn: Sure. I guess I’ll start at—I was raised in a Christian home. I went to church every Sunday with my family. However, I really believe I had more of a relationship with the church instead of Jesus Christ. Lynn: And in my—I married young—my first marriage. I fell away from God at that time—was searching. I completely lost my focus on Christ. I call those my prodigal years. I was one of those wandering prodigals who went far away from the farm. At that time, I divorced. I became a single mother, and I’m raising a son. I’m not going to church. At that point, I met my new husband. He was different than I was—and intriguing. We fell in love, and we married. Bob: You were going through a spiritual revolution in your life, and God was at work with you; but your husband was not a part of that equation, at that point. So, all of a sudden, here you are—God’s doing an amazing thing for you. You feel like the new creation that you are, and it leaves you in a situation where you are spiritually-mismatched. Dennis: And I have to ask you, Lynn—during those prodigal years when you were dating this guy, who would become your husband and then would be a part of this spiritual revolution that occurred in your life—when you were dating, did your conscience—did that spiritual and Christian upbringing kind of echo in your mind, “Hey, I don’t know if this is a good idea,” or was it just full-speed ahead for you and nothing like that was on the radar? Lynn: Dennis, I did have that conscience check. I knew what the Bible said—“Do not be unequally yoked.” I did know what God’s Word said, but I was in complete disobedience. Like a lot of young wives or young women, you think, “Love can conquer all.” Love can do amazing things, but God has that verse in the Bible for a reason because He knows how hard we will struggle. Bob: —for you guys to share with other people some of the challenges that you’ve been through. Dennis: Yes, you’ve used your real names. Dennis: What’s with that? How come those guys let that happen?—really—seriously. Dineen: It’s totally a God-thing. Nothing gets in His way—not even us. [Laughter] Praise God! Bob: Dineen, tell us your story. How did you wind up spiritually-mismatched in marriage? Dineen: I didn’t grow up in the church. My relationship with God—I can look back and see how protected I was, growing up; but I didn’t have that influence. I met my husband and fell in love with him, actually as—we were high school sweethearts. We got married, and we had our two girls. I kind of walked in and out of relationship with God at different times in my life—in pursuit for myself. So, I went running because I found hope. I went running to God, and jumped into church and was taking my girls. One day, my husband came home with a Bible. I thought: “This is great! We’re going to be on the same page!” And not too long after, he told me that he’d decided he was an atheist, which I didn’t expect. Dennis: Why did he bring the Bible home, then? Dineen: I think he was searching for himself. Dennis: Had he seen the change in your life? Dineen: I’m sure he did. I’m sure he did because it was like a whole new world. Bob: I remember distinctly the day that Mary Ann and I got married—one of the things that popped into my mind, as I was about to walk out and say, “I do,”—for a lifetime, with this woman—I thought: “What if she changes? What if she’s not the same woman ten years from now that I’m marrying today—that I’m saying, ‘I do,’ to today?” The truth is—she has changed. She’s not the same woman, and I’m not the same man. God gives grace in the midst of all of that; right? Bob: But by the same token, you guys had a kind of a change that neither of your husbands were counting on when they said, “I do,” to you. They were not planning to marry some Jesus freak; right? Bob: And that’s what they wound up with. but for you, Dineen, how did it impact him?—your new-found faith and your marriage? Dineen: It’s such a vast difference of worldviews because—with his extreme and my extreme, in his perspective—our very definition of life is complete opposites. So, it does make it very challenging to find common ground on that—and agree to disagree, at times—because, until one of us changes our worldview,—and I can tell you it’s not going to be me—we’re not going to agree. You cannot agree when one believes there is a God and one does not—when it’s that clear cut. So, that’s the biggest challenge because we work from such different perspectives. Everything we live through, look at, approach is from our different perspectives. Bob: —so there is some commonality that you can lean into. Bob: The same kind of situation with you—a clash of worldviews is the biggest issue, Lynn? It comes out of this place—where you’re growing in your faith, and things are happening to you, and that intimacy that you want to share: “Look what God’s doing in my life,”—and they do not want to hear it. That’s very common in a spiritually-mismatched marriage—where we go through a season of loneliness. And then, other areas—parenting, and the big one is going to church, and how—when you’re a spiritual-mismatched family—you don’t look like other church families. Lynn: For me, I so much wanted to look like everybody else; but then, I came to this place—I think Dineen and I both did—it’s like—we kind of like it now that we’re not the typical family. We kind of sit on the outskirts—we don’t always fit in—but we see the others that don’t exactly fit in, either. I love that place now, but it was hard in the early years. I just wanted my husband to sit in church with me and read the Bible with me. I so much wanted that. So, there are things that are surrendered. We go to Jesus, and He fills up those empty places. Bob: The last time the two of you were here, we talked about the challenges you face in a spiritually-mismatched marriage—the dynamics between a husband and a wife. You’d written a book, Winning Him Without Words—we kind of dove into that. You’ve, now, written a second book that talks about the challenges you face—as a believing mom with an unbelieving husband—trying to mold and shape the direction for your children when you and your husband may not always be on exactly the same page about that direction. I know, like I said, there are things you do agree on. There are values or character qualities that you’re all on the same page on, but there are also things that you think are pretty important—I’m thinking of things like reading your Bible and having devotions. Did you, Lynn, raise your kids—you had a son. How old was Bradley when you came to faith? Lynn: He was young. He was young. Lynn: Yes, yes; and he was raised—I took him to church with me, as well. Then, I remarried in there. I still went to church, and I took my son and my daughter when she got older. Church attendance, for me, is honestly a mountain I would die on. It is the hill I would die on. I so firmly believe in the community. God created us to be in relationship with Him and with others, especially when I come from a home where Dad’s not exactly modeling faith. I needed my kids to be around other adults and around other children so that they would learn what community is about, what God’s kingdom is about, and to see how adults modeled prayer. For me, personally, one of the most powerful things that I ever did—and it kind of was an accident—was to allow my children to see me reading my Bible every morning. When you live your faith in front of little eyes, and you’re in love with Jesus, and you’re talking about Him in just ordinary, everyday conversation, that’s the most powerful witness you can give to your children. I have story after story how that happened with my children. Dennis: I’m hearing two exhortations here, not merely one to those who are in spiritually-mismatched marriages, but also to single-parent moms. Dennis: Or single-parent dads—to just not get isolated. Dennis: Both situations demand that we be in a community of faith that encourages us to not lose heart in well-doing. Bob: Was there any conflict with your husband about the idea of taking your kids to church or you going to church on your own? Did he have any qualms because he said, “I’m not going;” right? Lynn: That’s correct. No, I personally didn’t experience conflict; but I do know that happens a lot in these kinds of marriages. That’s where you have to have communication. You have—I would say, “I need to take my kids to church.” My husband was okay with that; but I know other moms do struggle in that area—where Dad says, “No.” I think that’s where it comes down to love and respect. Dineen: Right; right. With my husband and me, when I was taking our daughters to church, we had to talk about it. He said he was fine with me taking them as long as when they were old enough to make their own choice that I would let them. I agreed to that. I trusted God for that, and both my girls know Jesus. Bob: No. I could answer that! They were sleeping in on Sunday morning. I know what I’d be doing. Come on! I’m not going to get up and help get the kids ready for church on Sunday. Lynn: You know, Dennis—that is such a hard thing because you’re struggling to get—what if you have three or four little ones, and you’ve got to get them dressed by yourself, and you’re angry and you’re upset? Dennis: Yes, that’s what I’m getting at. Lynn: Yes, and be mad. Bob: And when the kids look at you and say [yawning]: “Why do we have to go to church? Dad doesn’t go to church. Why do we have to go to church?” Did you ever hear that from your girls? Dineen: Oh, yes; and it is a battle. What Lynn said is so true. We really—it’s a prayerful journey, through the week, to get ready for it. Dineen: When they were young, it was: “Because this is important. This is what we need to do. It’s important for us. This is our opportunity to be in the house of God, to worship, to learn about Him. This is what life is most about, and it’s important.” As they became teenagers, that became a stronger battle. For my oldest—she’s very stubborn. For me, I knew, at one point, I was going to have to back off. She stopped going for a while. I was out of town one weekend. I got home—she was about 16—and she said, “Mom, I went to church this weekend with some friends.” She said, “During the service, I went up and recommitted my life to Christ because”—she said—“I just knew I had to do it.” I was just ready to get on my knees, and cry, and praise God—but I didn’t want to freak my daughter out—but inside, I was rejoicing because God’s faithfulness is just so amazing. This same young woman is now 24. Last year, she married her husband, who is a very strong young man, who loves Jesus. This was one of her requirements for her future husband—that he would know Jesus. For her—to walk into a marriage, equally-yoked—God was faithful. Dennis: There is going to be a lot of life lived out in your family in the years ahead. Your husband is being surrounded by people of faith. Dennis: And you don’t know what valley your kids are going to have to walk through / what challenges they’re going to face; but your husband is not going to be a casual observer. Dennis: He’s going to see life lived—up close and personal. So, my husband gets to see this new man in our family say a blessing over our food. Secondly, if you’re not in a spiritually-mismatched family, you just need to stop, right now, and give thanks that you’re both marching in the same direction. Then, you need to both get on your knees and leverage what God has given you. Don’t waste any of it because, I think, He’s got an assignment for every person. Bob: And maybe part of the assignment, for couples who are in-sync spiritually, is to look around at people you know who aren’t in that same situation. Get a copy of the books that Lynn and Dineen have written. Give them to your friends as a gift. If you know a wife who is married to an unbelieving husband, or you know a husband who’s married to an unbelieving wife, the counsel in these books can help either spouse in that situation. We have copies of both of Lynn and Dineen’s books in our FamilyLife Today Resource Center. The book we’ve talked about previously is called Winning Him Without Words. Their latest book is called Not Alone: Trusting God to Help You Raise Godly Kids in a Spiritually Mismatched Home. Ask about the books, Not Alone and Winning Him Without Words,when you get in touch with us. Now, if you’ve been a regular listener to FamilyLife Today for any length of time, you have probably heard me talk about our Legacy Partners. These are folks who, each month, get in touch with us and help support the ministry with a regular, monthly donation. Legacy Partners really are the foundation for this radio program. That monthly giving is critical for a program like ours to be able to sustain the cost of producing and syndicating this daily radio program. You stop and think about it—a thousand new partners—that is just 20 in every state in America. We think that’s doable—we hope it’s doable. We’d like to ask you to consider being one of the 20 in your state—one of the 1,000 new Legacy Partners to FamilyLife Today. If you sign up today—by going to FamilyLifeToday.com, clicking on the link that says, “I CARE”— there’s information there about becoming a Legacy Partner. We’ll send you the brand-new Legacy Partner Cookbook—full of recipes submitted by Legacy Partners, and a few recipes from Dennis and Barbara, and from Mary Ann and me, as well, and from some of the rest of our staff. We’ll send you the cookbook, along with some other resources to help strengthen your marriage and your family. Find out more, online, at FamilyLifeToday.com. Click the button that says, “I CARE.” Or you can sign up by calling 1-800-FL-TODAY; 1-800-358-6329. Just say, “I’m interested in finding out more about becoming a Legacy Partner.” Let me just say, “Thanks,” in advance, for taking time to just consider whether this is something you and your family would like to do. And let me encourage you to be back with us again tomorrow when Lynn Donovan and Dineen Miller will once again be here. We’ll continue our conversation about the challenges facing moms, in particular, when you’re in a spiritually-mismatched marriage and you’re trying to raise godly kids. We’ll talk more about that tomorrow. Hope you can tune in for that.